Tōrei Enji (1721-1792) was born into the Nakamura family, the proprietors of a pharmacy located in the station town of Obata (present Gokasho), on the eastern shores of Lake Biwa in present-day Shiga Prefecture. At the age of nine he went to the nearby temple Daitoku-ji, where he studied under the priest Ryōzan Erin. He received the name Etan, which was later changed to Dōka. From the age of seventeen he went to Daikō-ji, located in present-day Miyazaki Prefecture on the island of Kyushu, to train under the important Zen master Kogetsu Zensai (1667-1751) and his successor Suigan Jūshin (1683-1773). From the age of twenty-three he trained under Hakuin at Shōin-ji in Hara, receiving inka at the age of twenty-nine. At thirty-five he received priestly rank at Myōshin-ji and was first referred to as Tōrei. In addition to serving as abbot of Ryūtaku-ji in Mishima (in present-day Shizuoka Prefecture), he restored the temples Muryō-ji in Shizuoka and Shidō-an in Tokyo. He later resided at Zuizen-ji, near present-day Nagoya, and Reisen-ji near his birthplace. Throughout his life Tōrei retained an interest in Shinto and Confucianism as well as Buddhism, stressing the ultimate unity of these three teachings. His posthumous title was Butsugo Shinshō. Zen insight was not the only legacy these disciples received from their master, however. 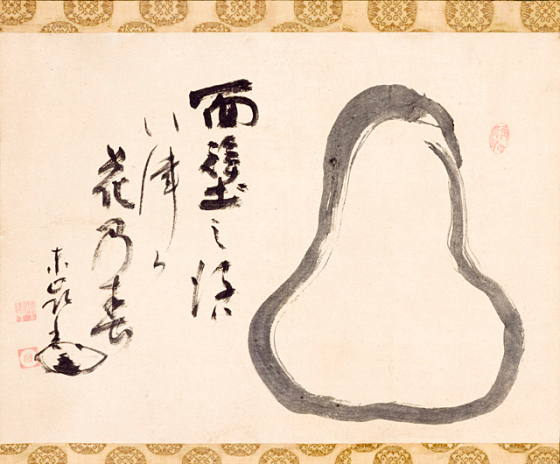 Both followed Hakuin in becoming accomplished painters and calligraphers who left numerous examples of their artistic talents. 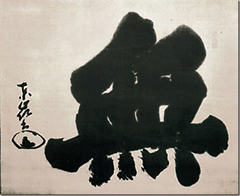 Tōrei, in particular, produced strikingly original works that continue to impress people even today. 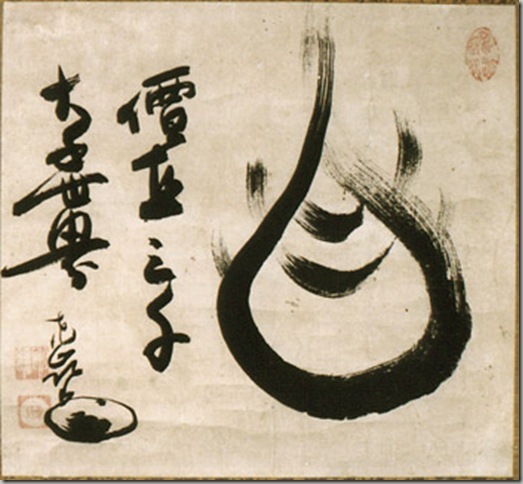 Much of their appeal lies in the interesting contrast between the subtlety of Tōrei's Zen and the boldness of his artistic style, which, though influenced by that of Hakuin, surpasses it in force. 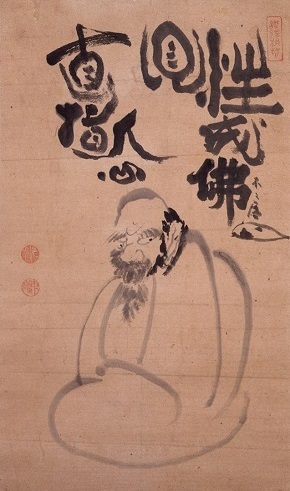 Tōrei became the disciple of Hakuin Ekaku 白隱慧鶴・白隠慧鶴 (1686-1769), one of the major figures in the Rinzai revival of the eighteenth century. Many of Tōrei's works remain unpublished, even in Japan. His scholarly interests and the breadth of his knowledge, including Shinto, was unprecedented. The Eastern Buddhist, New Series. 1970, NS03-1, pp. 122-138. Boston : C.E. Tuttle Co., 1996. 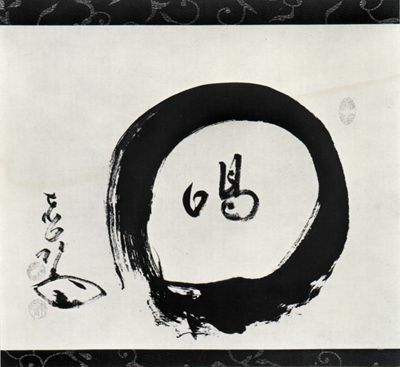 560 p.
"Based on the teachings of the great Zen Master Hakuin Zenji, The Discourse on the Inexhaustible Lamp of the Zen School is an essential guide to Rinzai Zen training. It was written by Torei Enji Zenji (1720-1792), Hakuin's dharma successor. In this book, Master Torei begins by providing a concise history of the Rinzai school and lineage. He then details all the important aspects of Zen practice, most notably great faith, great doubt, and great determination. He also provides explanations of koan study and zazen (meditation) as a means of attaining true satori (enlightenment.). This edition includes extensive commentary by Master Daibi, providing both essential background information and clarification of several Buddhist concepts unfamiliar to the general reader. The result is an invaluable record of traditional Zen training." Les Cahiers d'Extrême-Asie, no. 7, 1993–94, Special Issue on Chan and Zen Buddhism, pp. 319–52 (in French). Traité sur l'Inépuisable Lampe du Zen: Tōrei (1721–1792) et sa vision de l'éveil [Treatise on the Inexhaustible Lamp of Zen: Tōrei and his Vision of Awakening], 2 vols. Mélanges chinois et bouddhiques vol. XXVIII. Brussels (Bruxelles) 1997: Institut Belge des Hautes Études Chinoises. In The Kōan: Texts and Contexts in Zen Buddhism, edited by Steven Heine and Dale S. Wright. Oxford and New York, 2000, pp. 244–79. In: Zen Classics: Formative Texts in the History of Zen Buddhism, edited by Steven Heine and Dale S. Wright. Oxford and New York, 2006, pp. 215–246. In: Buddhist Philosophy: Essential Readings, edited by William Edelglass, and Jay L. Garfield. New York: Oxford University Press, 2009, pp. 159–170. Journal of Religion in Japan, 2013. 2 (1): 35–62. This article examines the Sutra on the Difficulty of Reciprocating the Kindness of Parents (Fùmǔ ēn nánbào jīng 父母恩難報經, T 16 no. 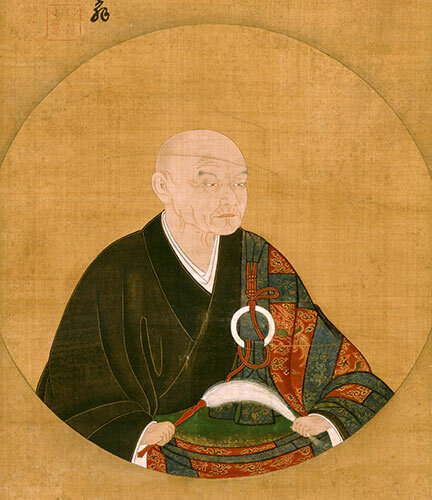 684) and its reinterpretation by the Japanese Rinzai Zen monk Tōrei Enji 東嶺圓慈 (1721–1792). 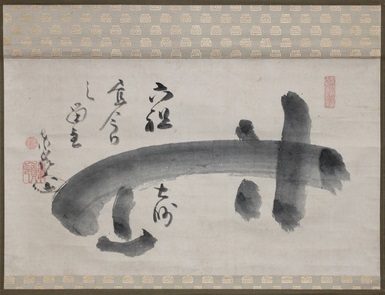 In the context of the Tokugawa period (1600–1867) where filial piety was upheld as one of the pillars of morality and Neo-confucian orthodoxy, Tōrei's commentary of this sutra skillfully combined the particularist understanding of filiality as limited to one's relatives with its broader construal as a universal attitude of reverence directed toward all sentient beings. The father is envisioned as the wisdom and the excellence of the Buddha, the mother as the compassionate vows of the Bodhisattva, and the children as those who emit the thought of awakening. 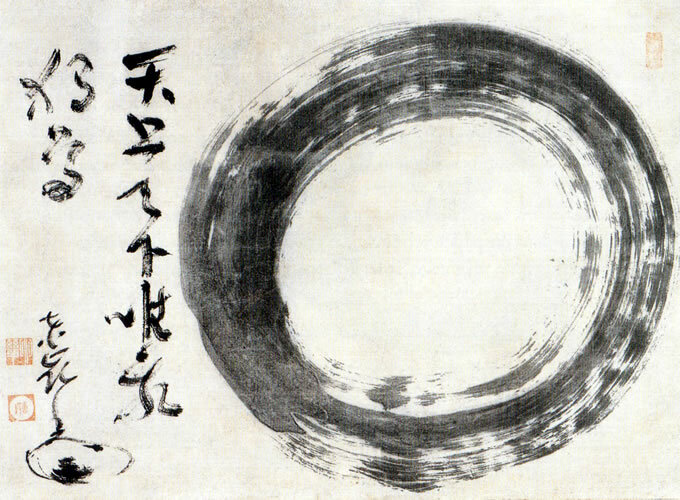 Tōrei further pushed this interpretation by adding the distinct Zen idea that the initial insight into one's true nature needs to be surpassed and refined by perfecting the going beyond (kōjō 向上) phase of training, where the child/disciple's legacy and his indebtedness towards his spiritual mentors is recast in terms of overcoming one's attainments and attachment to them. Dharma Drum Journal of Buddhist Studies 16: June 2015, 63–94. (forthcoming book for the Kuroda Institute). Shinjubutsu sanbō kōkyō kuge 神儒佛三法孝經口解 ﻿ Tōrei Enji 東嶺圓慈 ( 2014-02-26 ) Discusses various expressions of filial piety Tōrei found in Shinto, Buddhism, and Confucianism. Boston : Shambhala ; New York : Distributed in the U.S. by Random House, Inc., 2010. Ch. XIII, Tōrei, pp. 133-137.
all is the never-failing manifestation of the mysterious truth of Tathagata. none can be other than the marvellous revelation of its glorious light. to animals and birds, and indeed to all beings. Who can be ungrateful or not respectful to each and every thing, as well as to human beings! through countless cycles of kalpas. and on each lotus flower will be revealed a Buddha. These Buddhas will glorify Sukhavati, the Pure Land, every moment and everywhere. may attain maturity in Buddha's wisdom. Disciples, when I humbly observe the true nature of things, all are the marvelous manifestation of the Tathagata's truth. Atom by atom, instant by instant, all are none other than his mysterious radiance. Because of this our virtuous ancestors extended loving care and reverence toward even such beings as birds and beasts. How, then, can we be but humbly grateful for the food, drink, and clothing that nourishes and protects us throughout the day, these being in essence the warm skin and flesh of the great masters, the incarnate compassion of the Buddha? If it is so even with inanimate objects, how much more should we be kind and merciful towards human beings, even those who are foolish? Though they become our sworn enemies, reviling and persecuting us, we should regard them as bodhisattva manifestations who, in their great compassion, are employing skillful means to help emancipate us from the twisted karma we have produced over countless kalpas through our biased, self-centered views. If we awaken in ourselves this deep, pure faith, offering humble words and taking sincere refuge in the Buddha, then with every thought there will blossom a lotus flower, each with a Buddha. These Buddhas will establish Pure Lands everywhere and reveal the radiance of the Tathagata beneath our very feet. May we extend this mind throughout the universe, so that we and all sentient beings may equally bring to fruition the seeds of wisdom. of the Tathāgata's never-failing essence. is no other than the Tathāgata's inexpressible radiance. gave tender care, to beasts and birds. The Sixth Patriarch painting and inscription: The Great Teacher Sixth Patriarch -- I'm pleased to say that today I'm absent.